Video | 2019 Subaru Forester Review: What's New? Although the 2019 Subaru Forester may look the same, it's definitely been improved. In this video review, we show you how. Video | 2019 Subaru Forester: How Much Fits in the Trunk? We fit as much luggage as we can in the trunk of the 2019 Subaru Forester, seeing how it compares to the Crosstrek. Subaru's dilemma: keeping the 'STI' moniker sacred vs. printing piles of cash. The new Forester takes on one of the segment leaders. In today's world, an increasing number of drivers are focused on safety -- and specifically on the kind of high-tech safety gadgets and systems that can help you avoid getting in a collision. One of today's most popular safety gadgets is automatic braking, which has been instituted by many automakers in conjunction with forward-collision alert systems. So what are the least expensive cars you can buy with this cutting-edge technology? Our latest list shows you exactly that. 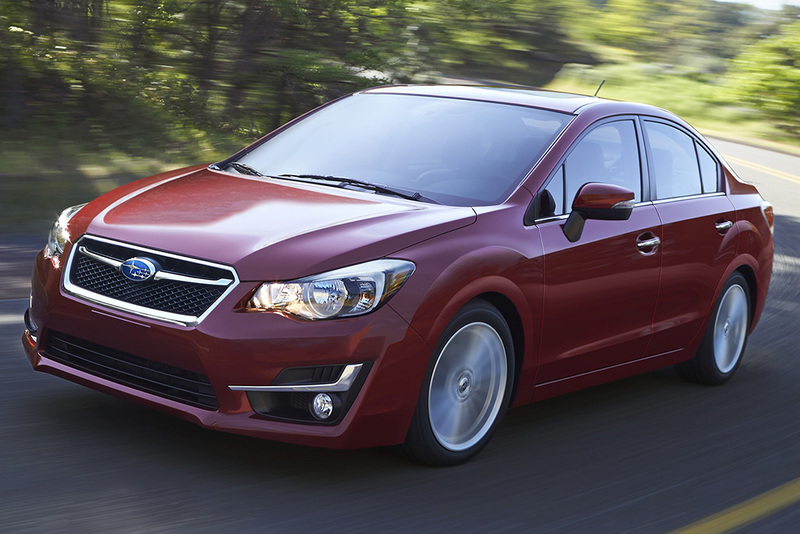 Yes, it's true: The Subaru Impreza is the least expensive car you can buy today with an automatic-braking system. Even better, it's Subaru's excellent automatic-braking system, which is part of the brand's EyeSight safety suite. 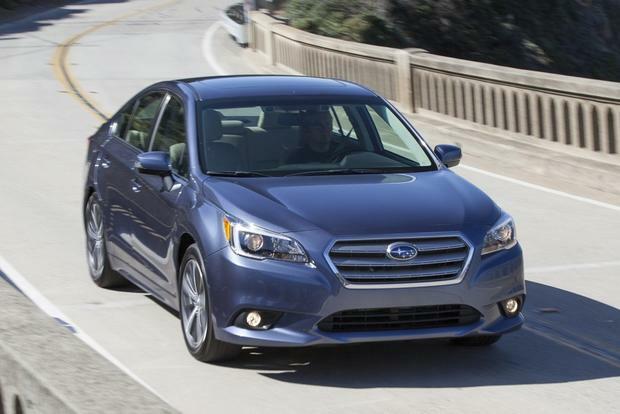 We think the system is excellent because it can bring an equipped Subaru to a complete stop from speeds as high as 30 miles per hour if it senses an impending collision. This is a big improvement over most rivals, which require lower speeds or won't bring your car to a complete stop. And while you have to step up to the Limited Sport trim, and check a few extra-options boxes to get the system in an Impreza, we highly recommend it -- especially because an EyeSight-equipped Impreza is available for a still-reasonable $25,085 with shipping. The second cheapest car you can buy today with an automatic-braking system is the Subaru Legacy. In fact, because the feature is offered on more Legacy trim levels than Impreza models, the cheapest Legacy that's equipped with automatic braking is only $400 more expensive than the cheapest Impreza that offers the feature. Regardless of whether you get the Legacy or the Impreza, however, the same rules apply: Subaru's automatic-braking system is among the best in the business, and it brings vehicles to a complete stop from 30 mph if it senses an impending accident. 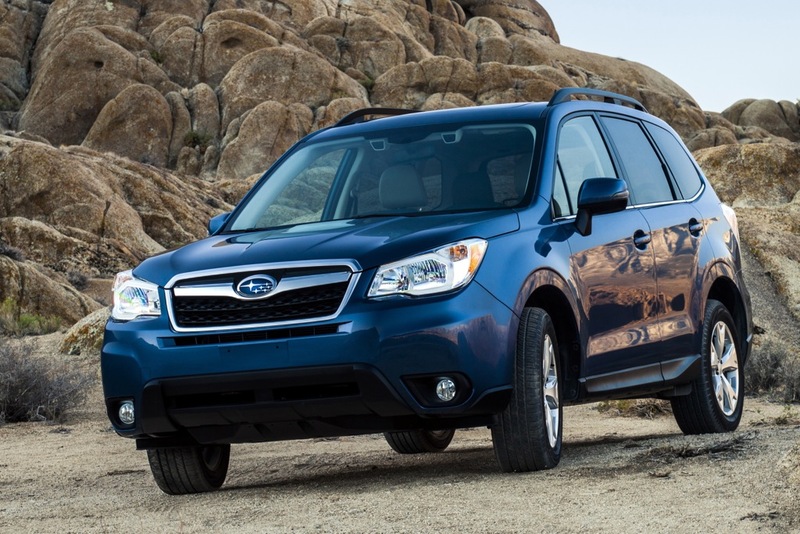 The Subaru Forester joins our list of today's least expensive cars with automatic braking in the third spot. It also ranks as the least expensive SUV or crossover with the feature, beating out the second-place Mazda CX-5 by several thousand dollars. Just like in Subaru's Legacy and Impreza models, the Forester's automatic-braking system is part of the brand's EyeSight safety package, and it's optional on every Forester except the base-level 2.5i model. Also similar to Legacy and Impreza models, the Forester's system can bring the crossover to a complete stop at speeds of up to 30 mph. Although the Mazda3 is the least expensive car that offers an automatic-braking system, actually ordering a Mazda3 equipped with the feature is another story. 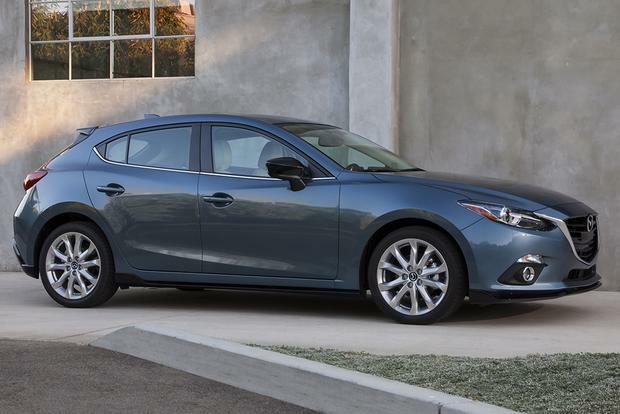 You have to spring for a Mazda3s model with the optional 2.5-liter engine, and then you have to opt for the upscale Grand Touring trim with an automatic transmission. From there, you can order automatic braking, but by then, the price will be nearly $30,000 with shipping. That's a lot to pay for a compact car, but we think it's worth it when you consider the Mazda3's excellent fuel economy, its long list of other equipment and its wonderful Smart City Brake Support feature, which can slow the Mazda3 down to diminish the severity of an accident, or stop the car entirely. For $30,605, you can get Mazda's highly competent CX-5 crossover with the brand's excellent Smart City Brake Support feature, which is an automatic-braking system that can slow or stop the CX-5 to help decrease damage and prevent injury in the event of an impending collision. That's a pretty good deal -- especially since only the Subaru Forester offers a similar system for less money in the crossover world. 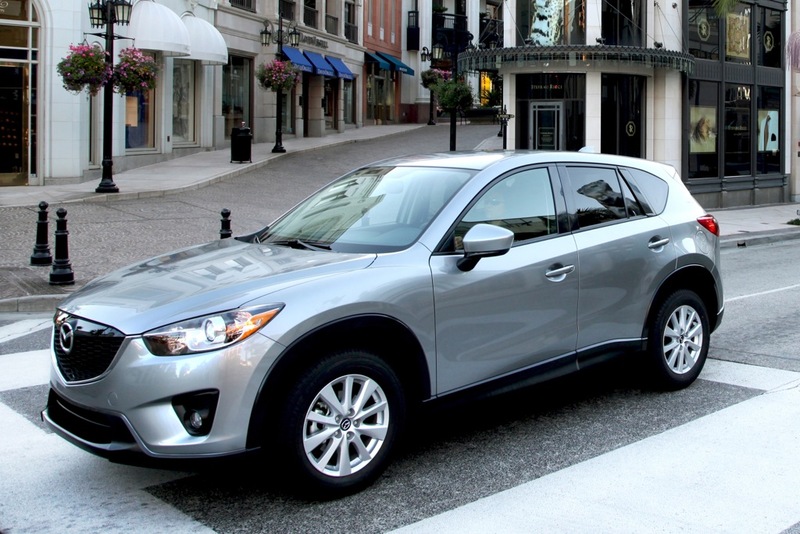 The CX-5 also offers excellent fuel economy, an impressive list of other features and technology, and the typical fun-to-drive road manners usually associated with Mazda's products. 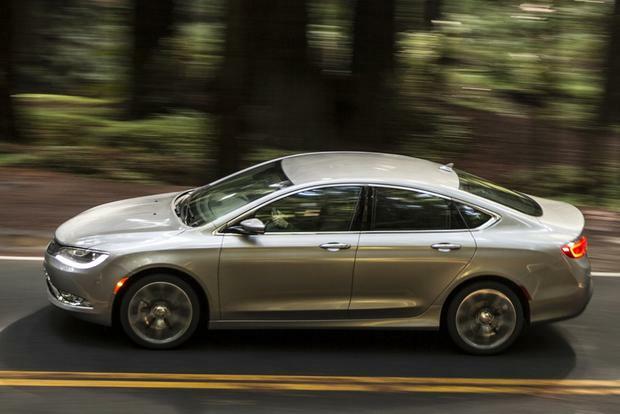 The Chrysler 200 is one of the few midsize sedans available today with a forward-collision braking system. Dubbed Forward Collision Warning with Active Braking, the system monitors the situation on the road and steps in if it senses an inevitable collision. Designed to slow or stop the car before an accident occurs, the system will help reduce the damage and threat of injury in the resulting crash. To get Active Braking, you'll have to step up to the excellent Chrysler 200S and sign up for the SafetyTec package, which brings the total price to just under $31,000 with shipping. 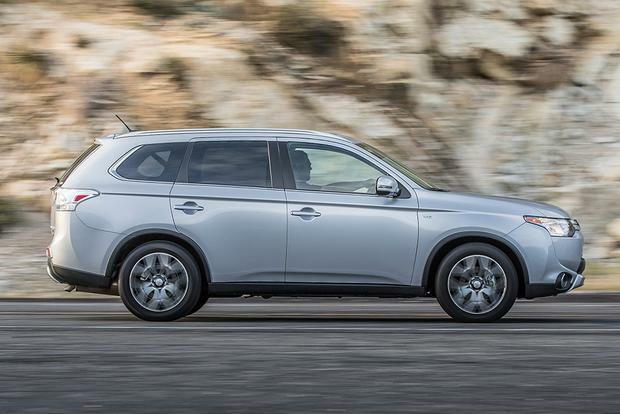 Mitsubishi's often-overlooked Outlander is the next car on our list of today's least expensive vehicles with automatic braking. Similar to systems offered by Subaru, Chrysler and Mazda, the Outlander's automatic-braking feature (dubbed Forward Collision Mitigation) can bring the SUV to a stop or slow it down to avoid a serious accident. Available on the midlevel Outlander SE model, getting Forward Collision Mitigation requires springing for several other upgrades, which brings the cost of an Outlander equipped with the feature to $31,995 with shipping. 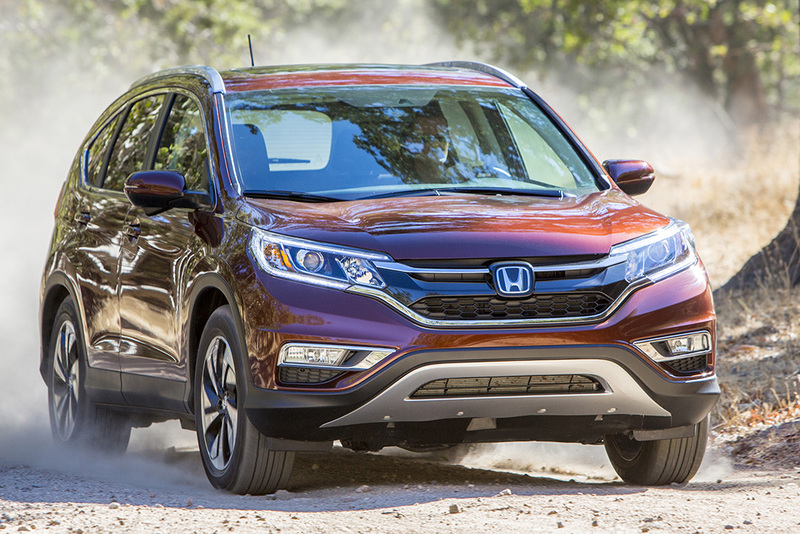 Honda's Collision Mitigation Braking System is standard on the upscale CR-V Touring compact crossover, which starts at $32,525 with shipping. Although it only works at lower speeds, the CR-V's system is designed to entirely avoid a collision, bringing the compact crossover to a complete stop if it detects an impending collision. And while it may sound like a stretch to pay nearly $33,000 for a CR-V, we assure you that this one offers all the equipment necessary to justify its steep base price -- especially if your heart is set on buying a new vehicle with an automatic-braking system.